IT'S NOT JUST THE HOME; IT'S THE NEIGHBORHOOD! 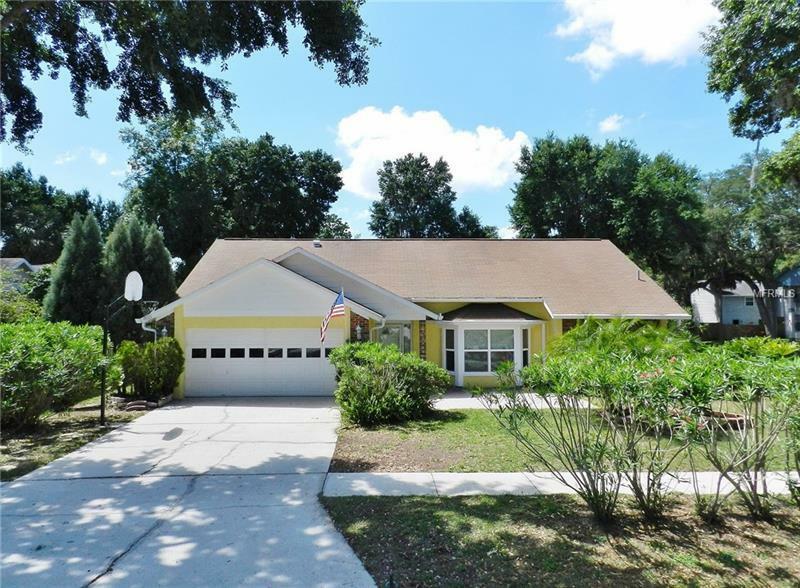 This 4-bed 2-bath pool home with a new AC and double-pane windows among its improvements will give you all the advantages of its family-friendly neighborhood featuring top-notch schools parks playgrounds shops restaurants day care the YMCA Bloomingdale Little League and Bloomingdale Golfers Club in walking or bicycling distance. You get a privacy-fenced quarter-acre on a quiet corner so you can enjoy the pool with child safety fence in a big lanai featuring both screened and roof-sheltered sections for all-weather enjoyment. Inside 2000 square feet you'll find wood-look floors in all bedrooms and tile everywhere else -- from the foyer through the living room dining room family room with brick fireplace both bathrooms the laundry room and the kitchen with breakfast bar and separate dining nook. Upgraded storm sliders provide smooth secure access to the pool from the family room living room and master suite. Other improvements include the 2018 AC fresh paint some recently upgraded appliances and more. See it today!